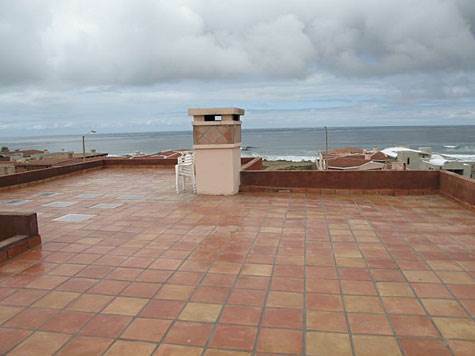 Mision Viejo, Playas de Rosarito - A tanagible link to Mexico's classic vintage charm and artistry. This beauitful Custom built Villa surrounds a central courtyard and commands an ocean view from almost every room. Casa Margurite has 3 bedrooms, 3.5 baths, 2 fireplaces, tile floors, granite counter tops, stainless steel appliances, 1000 square roof deck, skylights, and custom lighting.